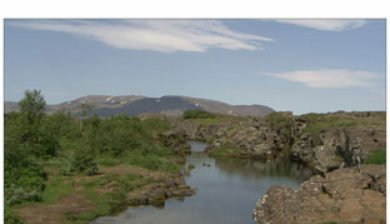 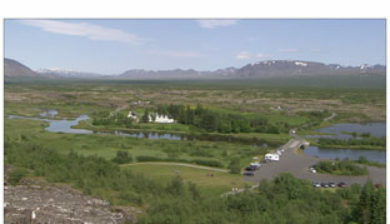 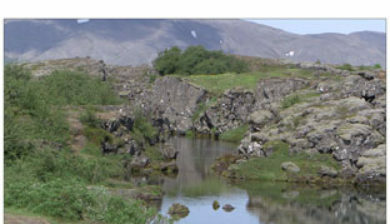 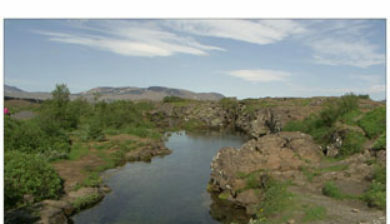 (Icelandic: [ˈθiŋkˌvɛtlɪr̥]), anglicised as Thingvellir, is a national park in the municipality of Bláskógabyggð in southwestern Iceland, about 40 km northeast of Reykjavík. 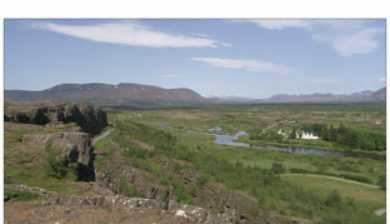 Þingvellir is a site of historical, cultural, and geological importance and is one of the most popular tourist destinations in Iceland. 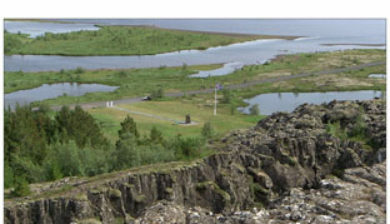 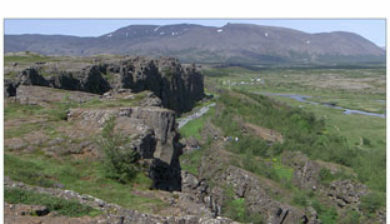 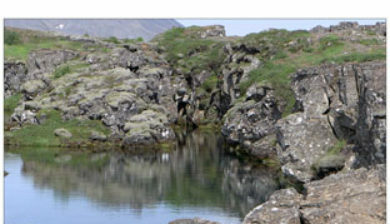 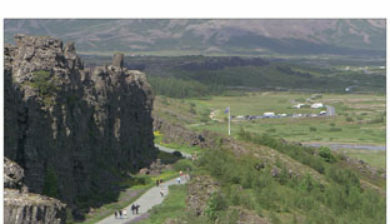 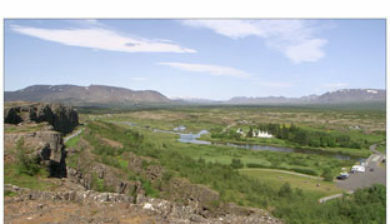 It lies in a rift valley that marks the crest of the Mid-Atlantic Ridge and the boundary between the North American and Eurasian tectonic plates. 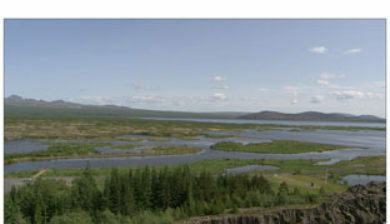 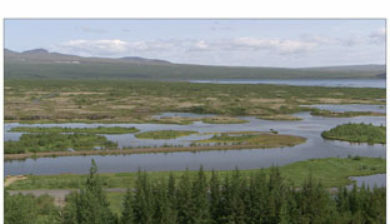 To its south lies Þingvallavatn, the largest natural lake in Iceland.